Dirk Nowitzki is on top of the world these days, and with good reason. 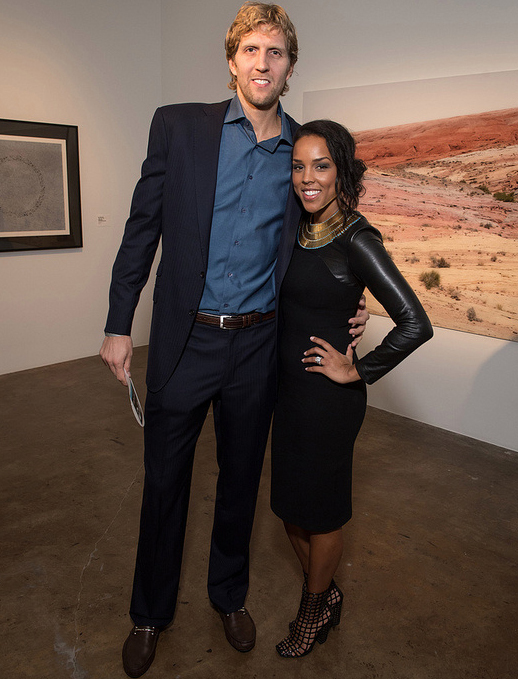 With the birth of his second child with wife Jessica Olsson, the seven-foot Dallas Mavericks star seems to have finally put his rocky relationship history squarely where it belongs – in the past. Dirk tied the knot with the stunning art gallery manager in 2012 and the two now have what seems to be an idyllic life. A big part of that happiness is the addition of two sweet little children to the couple’s family. As is often the case with celebrity kids, you’ll be hard-pressed to find photos of the couple’s offspring. With Dirk’s fair, handsome, classic German good looks and Jessica’s deep complexion and perfect features, they’re sure to be beauties. Keep your eyes peeled because sooner or later the press is bound to catch a glimpse of the NBA prince and princess. In the meantime, what you will find are some fun tidbits about Max and Malaika and their famous parents. Here are five facts you need to know about Dirk and Jessica’s kids. 1. Daughter Malaika was born in July, 2013. Her name means “angel” or “good spirit”, and is commonly used in African countries, which makes sense since mom Jessica was born in Kenya. 2. Malaika was the first child for both Dirk and Jessica, fulfilling what the basketball star calls one of his “biggest dreams” – to have a family of his own and have “some kids running around”. 3. Though you may hear Dirk refer to son Max (born in March 2015) as “Maximus”, that’s just a nickname. Dirk says the moniker for his little guy is a reference to the movie “Gladiator”. 4. 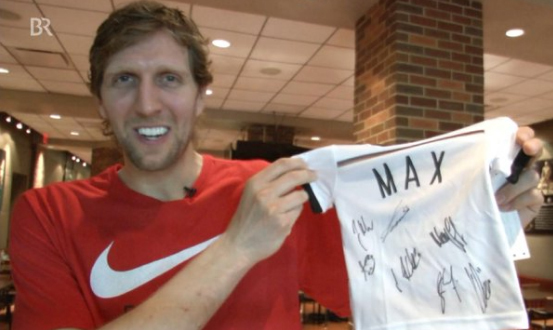 Dirk and the Mavs had a game the day after little Max was born. Despite going on just a few hours of sleep, the lanky German still managed to score 15 points and reach his 10K career rebound threshold. Pretty impressive for a brand new dad! 5. While Malaika came in the summertime, allowing Dirk to play at-home dad for over two months, Max’s arrival posed a bit more of a challenge for the Mavs center/power forward. The tike arrived right as the playoffs were approaching, leaving little time for dad to catch his breath before being thrust into the first round against the Rockets. Dirk Nowitzki has been through some rough times in the past, with an ex-girlfriend who even went so far as to fake a pregnancy, putting the athlete through a traumatizing emotional rollercoaster. But times have changed and with a drop-dead gorgeous wife, two adorable babies, and a career that’s still going strong in his late 30s, Dirk has turned over a new leaf and is living the dream. Nowitzki has even hinted that he and Jessica might consider a little sister or brother for Max and Malaika one day, but for now, they’re content with their busy and full family life.